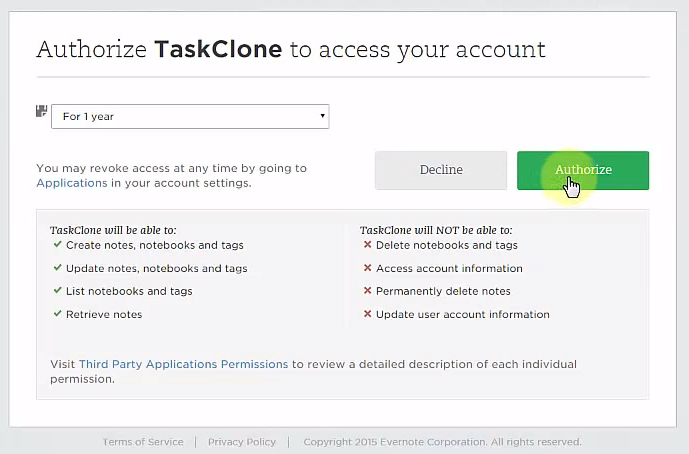 When you first sign up for TaskClone, you also authorize TaskClone to access your Evernote account so we are notified of tasks being added to your Evernote account. 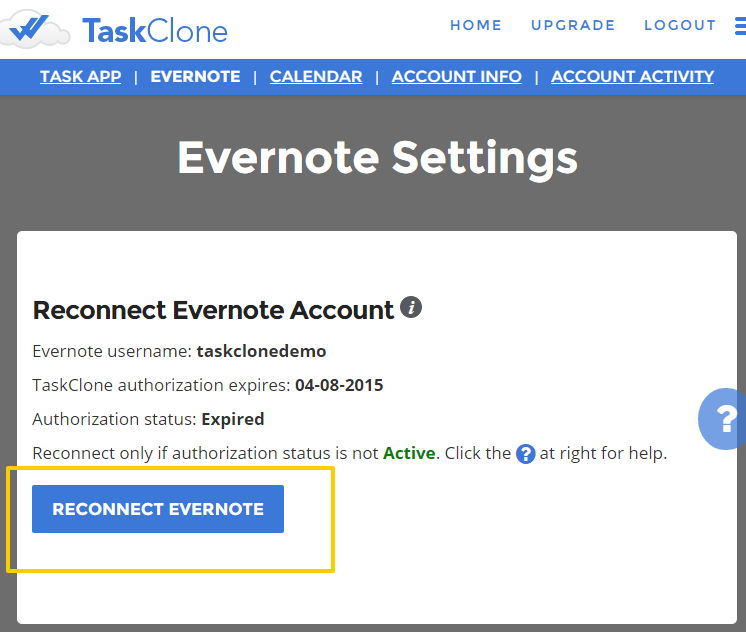 This authorization can last from 1 day to 1 year depending on what you select. 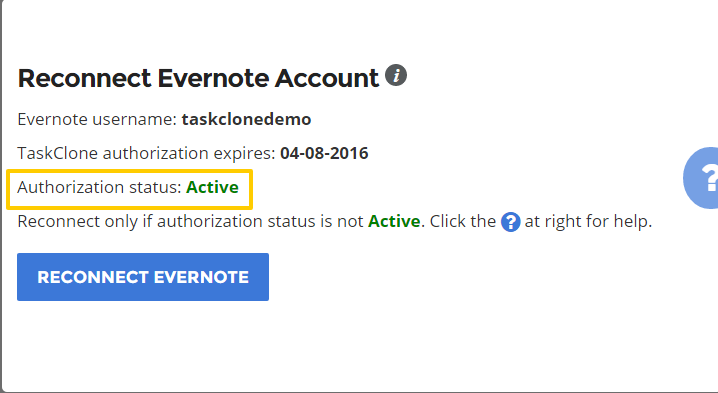 If notified that the authorization has expired or an error message indicates, you may need to reconnect your Evernote account.